Wow! Congrats! I’m so excited for you! Can’t wait to “meet” your new addition! Bittersweet, I am sure!! Again, wishing you all the very very best with the arrival of Bryson this morning and I can’t wait to ‘meet’ him very soon!!! 🙂 You look fantastic!! WOW! Ahhh!! You look amazing! I can’t believe you get to meet this little man today. 🙂 I tried to text you this morning but my stupid phone lost your number. ;( I can’t wait to hear all about it!!! Wishing you all the best today! I was tearing up as I read this post. I feel the same way with Aiden. Pregnancy has gone by so fast and our babies will be big brothers. Can’t wait to see pics of Bryson! Aw, sweet mama! So many mixed emotions I’m sure. I can’t believe the big day is here – looking forward to hearing news of B’s arrival! I can’t believe Matthew becomes a big brother today!!! 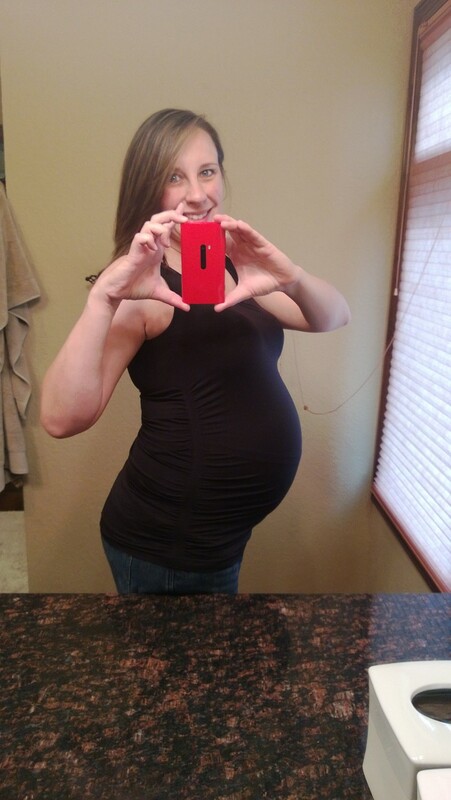 So exciting….can’t wait to hear all about you and the new little man! I can’t imagine the emotions but I’m sure I’ll feel that way when this baby makes Raegan a big sister. 🙂 Good luck! I can just imagine how bittersweet yesterday was! Hoping all went well today and you’re settling in to the idea of being a family of 4! I haven’t even been there, but I can really identify with your words. I feel those emotions as I imagine myself in your shoes. Yeah, no idea where you hid that boy in that little belly of yours! You looked fantastic up to your final days of being pregnant! !